Avastin known by its trade name Bevacizumab is a popular drug used by physicians and oncosurgeons to treat various cancers in different stages alone or in combination with other chemotherapy drugs. Whereas Lucentin is used specifically to treat conditions related to the eye, especially wet age related macular degeneration. Of late the FDA has allowed physicians to prescribe Avastin too for wet age related macular degeneration as it has shown significant treatment potential by blocking the growth of abnormal blood vessels. There are marked differences between the two drugs. 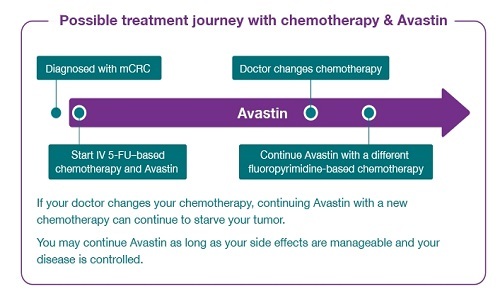 Avastin is primarily an anticancer drug used to treat glioblastoma. It is particularly useful if the cancer is progressive or has recurred. The drug is also highly effective in treating metastatic colorectal cancer and usually forms the first or second line of treatment along with other chemotherapeutic agents like 5-fluorouracil and fluoropyrimidine. However Avastin is not the first drug of choice while dealing with primary colorectal cancer. Metastatic kidney cancer is another condition where Avastin in combination with interferon Alfa has seen to be effective. But Avastin is a very powerful drug with many side effects and should therefore be taken only after doctor’s prescription. At times the side effects can be very fatal for some people. Life threatening complications include gastrointestinal perforation – indicated by severe abdominal pain, vomiting, nausea, constipation and high fever; serious bleeding indicated by blood in cough or vomit, bleeding in the stomach, brain or the spinal cord. Since Avastin encourages bleeding, it should not be given 28 days before and after a surgery as it delays wound healing. Other complications that can occur after ingestion of Avastin include sudden rise in blood pressure, reduced oxygen concentration in the red blood cells, proteinuria, infusion reaction, heart problems and nervous system disorder. The patient may complain of weakness, sluggishness in movements, confusion, visual disturbance, blindness, chest pain, headache, chills, wheezing, sweating or itching. Apart from this Avastin is also seen to affect the ovaries. It can reduce fertility and cause irregular menses. Avastin should not be given to patients awaiting surgery or women who are pregnant or breast feeding or trying to conceive. Lucentin, sold as Ranibizumab, is purely used for the treatment of eye conditions such as wet age related macular degeneration, macular oedema that follows retinal vein occlusion and Diabetic macular oedema. It is a potent vascular endothelial growth factor inhibitor. It prevents the blood from leaking into the macula which is the most visually sensitive portion of the retina. The drug is injected directly into the eyeball and should be administered by a highly skilled specialist. The dosage is once a month for three months consecutively after which the condition of the patient is reviewed. Lucentin is usually safe and rarely causes side effects. It has known to cause retinal detachment, internal eye infection, stroke and heart attack in very few patients. Common side effects include increase in intra ocular pressure before and after the drug, dryness, watering, redness in the eye, eye pain, small specks in vision, headache, infection in the nose and throat and nausea. Women undergoing treatment must avoid conception during this period as the drug can cause foetal abnormalities. Women who are pregnant or breast feeding should also not be prescribed Lucentin. Avastin and Lucentin are strong drugs that should not be given together. These drugs can interact with the regular medication of the patients and hence the patient must always tell the physician about his medication history. Though Avastin has recently been allowed as ‘off label’ use for wet age related macular degeneration by FDA, its use is solely at the discretion of the physician. Maitreyi Naigaonkar. "Difference between Avastin and Lucentin." DifferenceBetween.net. May 13, 2015 < http://www.differencebetween.net/science/health/difference-between-avastin-and-lucentin/ >.